The world is improving, new visions converts into technology immediately. Get an overview of the opportunities offered by innovation Modern technology and how you, your company or your city, can make the life easier. 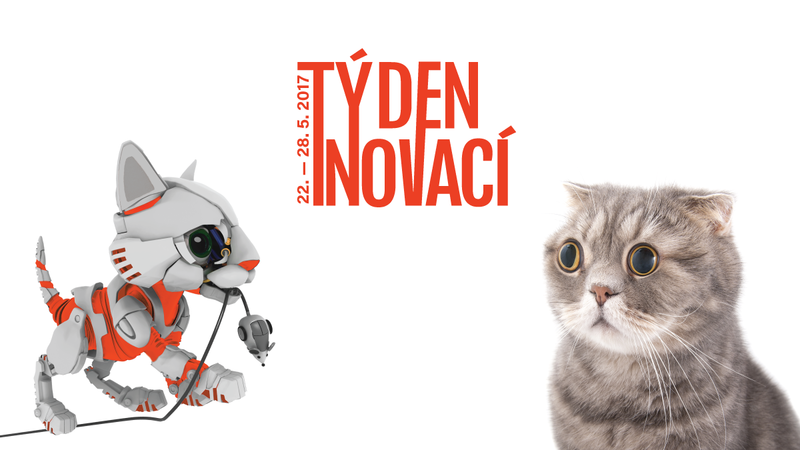 INNOVATION WEEK takes place between 22nd and 28th of May 2017 all across the Czech Republic and its objectives are to connect corporations, cities and general public with the latest worldwide trends in the field of innovations and modern technology and at the same time to promote Czech innovations. The Auspices over Innovation Week Czech Republic 2017 was accepted by the Czech Prime Minister Bohuslav Sobotka. Historically first year of Innovation Week became the biggest event supporting innovations in the Czech Republic with the participation of 4 000 visitors, mainly representatives of businesses, and more than 50 events across the Czech Republic. The main event - Innovation Summit Prague - took place in Cargo Gallery at Prague river bank. Innovation week will culminate in two-day Innovation Summit Prague which will take place on 26. - 27. May in modern space - Czech Institute of Informatics, Robotics and Cybernetics (CIIRC) ČVUT. Find here where the CIIRC is located. It includes all-day conference conference on Friday 26th of May with leading foreign and local experts on intelligent systems, more specifically Smart Cities and artificial intelligence. Moreover, innovation fair of companies and institutions engaged with innovations, offering innovative services and products will take place on the same address. Estimated participation is around 1 500 visitors. Get two tickets for the price of one until 30th of April. I want a ticket.